Henryk Mikolaj Górecki's career spans more than 40 years, dating from the post-Stalinist era of the mid 1950s and embracing a catalogue of more than 70 acknowledged works. It was not, however, until the phenomenal success of his third symphony, Symphony of Sorrowful Songs Op 36, which brought the composer world-wide renown through its numerous performances and recordings, that his music reached an extended audience outside his native Poland. Since then the directness and emotional impact of his music have established him as one of the major figures of contemporary music. 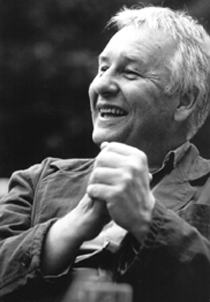 Apart from two brief periods of study in Paris in the early 1960s and a stay in Berlin in 1973 severely curtailed by serious illness, Górecki has remained rooted in southern Poland where his deep awareness of Polish folk culture and religious heritage have formed the standing stones of his musical language. Whether abstract in reference (large-scale canvasses, granitic textures) or specific (modal hymnody, folk songs and texts), Górecki has increasingly allowed the simplicity of these building blocks to stand on their own terms. From time to time he has also made reference to other composers with whom he feels a special affinity such as the powerfully expressive quotation from Beethoven in Lerchenmusik Op 53. The diversity of this highly individual musical personality can be traced in his work, ranging from the rugged and combative Genesis Op 19 and the long slow lament of the Third Symphony to the modal melodies of Three Pieces in the Old Style, and the fast flamboyant movements of the Harpsichord Concerto.